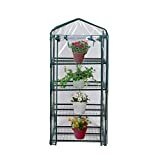 Maybe you just love having fresh basil for your own caprese, but if you're serious about growing, the Palram HG56 Glory Greenhouse offers serious help for you. 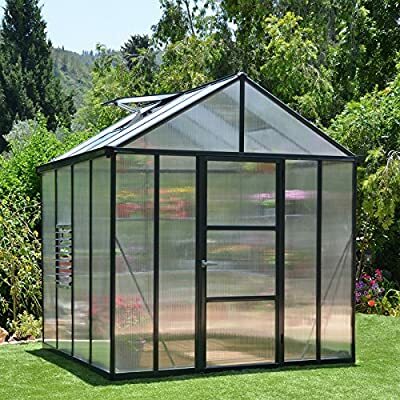 This premium greenhouse starts with unbreakable polycarbonate panels supported by a rust-proof frame of powder-coated aluminum. 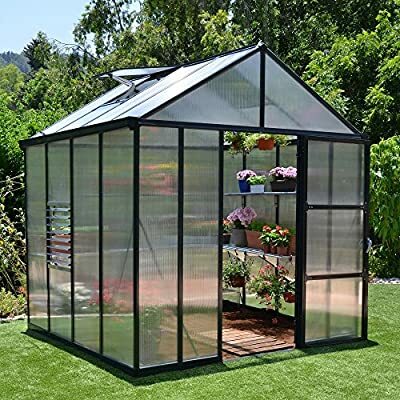 The polycarbonate blocks over 99% of harmful UV rays while letting in enough rich sunlight for all of your leafy pals. 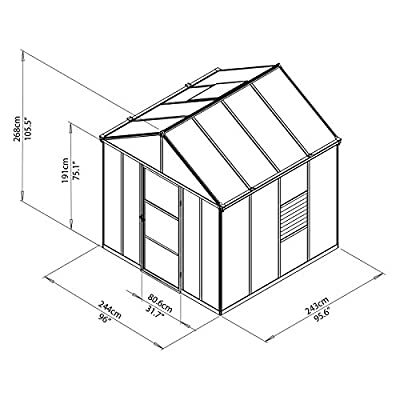 An automatic-opening roof vent and a louvered window allow for proper airflow, while the lockable door with threshold ramp lets you come and go with ease, even if you're hauling wheelbarrows full of topsoil. Integrated rain gutters help you collect fresh rainwater for your plants, conserving resources and taking advantage of your local climate. 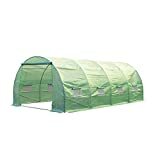 The side walls stand over 6 feet tall, and the central peak reaches 8 feet and 8 inches up, giving you plenty of headroom for yourself and a trellis or two. 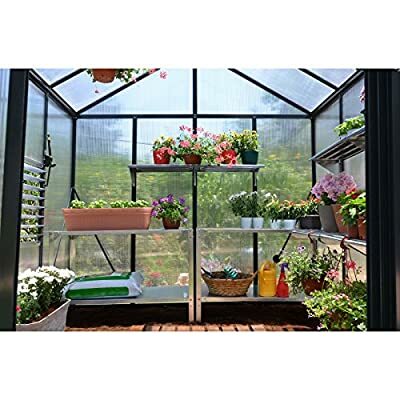 A galvanized steel base gives you steady footing, and ground anchors ensure that windy days don't get in the way of your green thumbs. 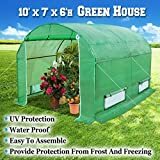 Depending on how much room you need, these greenhouses are available in footprints of all sizes, for the casual hobbyist to that organic microgreens side-business that you've been thinking of starting. Over 45 years of experience makes Palram one of the world?s largest and most advanced manufacturers of polycarbonate, PVC, Acrylic, and other thermoplastic sheets for a variety of industries including construction, graphics and display, architecture, and for the do-it-yourself market (DIY). The company has manufacturing facilities in Israel, USA, England, Germany, China, and Russia. Palram integrates high quality materials, a spectrum of technologies, and diligent novelties state-of-mind to manufacture valuable products for do-it-yourselfers. Offered in multiple sizes for any space or need. 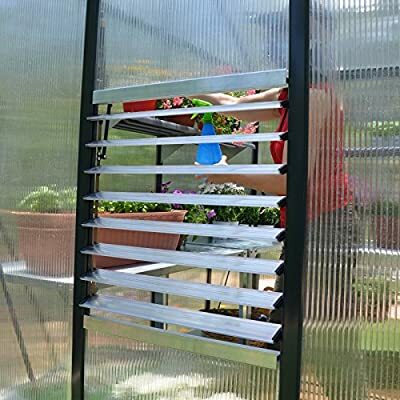 10mm unbreakable polycarbonate panels. Powder-coated, rust-proof aluminum frame. Almost 9 feet of headroom. 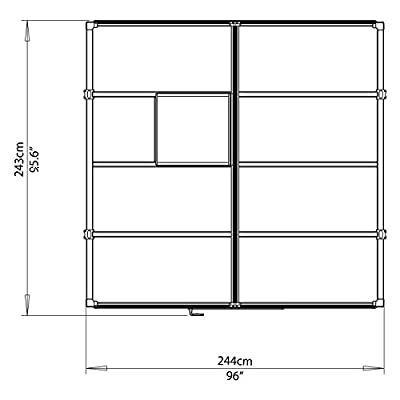 Lockable, heavy-duty door is 31.7 in. wide.